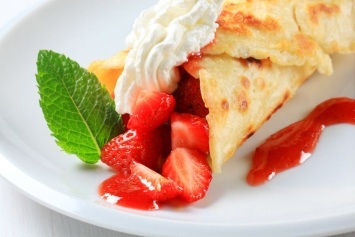 Strawberry crepes – fresh warm crepes filled with sweet strawberries and topped with rich whipped cream. If you are looking for gourmet recipe that are actually quite easy, this is a great one to start with – or end with. The crepes are so easy to make. You can even make them ahead and freeze them. Then simply take them out when you need them, fill them with luscious strawberries and serve. Mix together the strawberries, 1/3 cup of sugar and the orange juice. Refrigerate, preferably for several hours. Combine the whipping cream, sour cream, mace and 2 tablespoons of powdered sugar in a small chilled bowl. Beat until the mixture it begins to thicken. Spoon the strawberry mixture onto the crepes. Fold the crepes. Top with the whipped cream mixture. Makes 12-14 crepes. The link in the recipe goes to our dessert crepes recipe. For these strawberry crepes you can also use regular our French crepe recipe found here. I have marked this recipe as suitable for Diabetics because it doesn’t have much sugar. 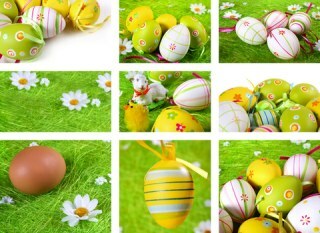 However you can lower the sugar content even more to suit your taste or your diet. And always consult your own health care provider about your diet if you aren’t sure what you should eat. Of course the less sugar the healthier. Use as little sugar as you need to make the strawberries to your taste.